All humans have the same set of genes. Our differences come from the tiny variations in those genes. Those variations influence not only in how you look or behave different to others… But in how your body reacts differently to external factors. Especially how it reacts to the foods you eat and lifestyle you live. For example, some have great difficulty metabolising caffeine. For others, it could be alcohol (1, 2). Some have issues that increases their risk of Alzheimer’s disease, known as APOE4. This is because we all have certain genetic variations or “defects” that can influence how we metabolize and use certain nutrients. One of the more common and potentially problematic variations is known as an MTHFR mutation. 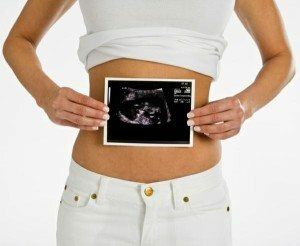 This gene variation can impact how well your body metabolizes folate and folic acid. Both are forms of vitamin B9, required for numerous critical bodily functions. Unfortunately, a fault in this metabolic cycle is linked to several quite serious health problems (3). 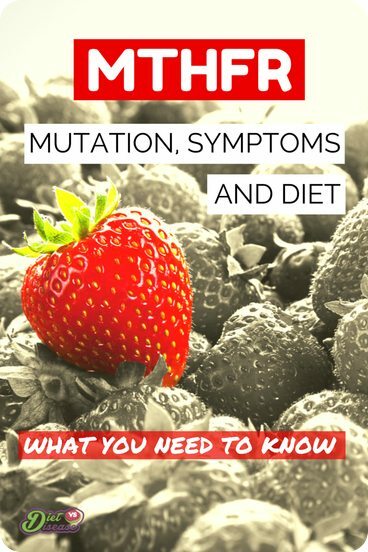 This article describes the MTHFR mutation and explores what implications it may have for your health and diet. 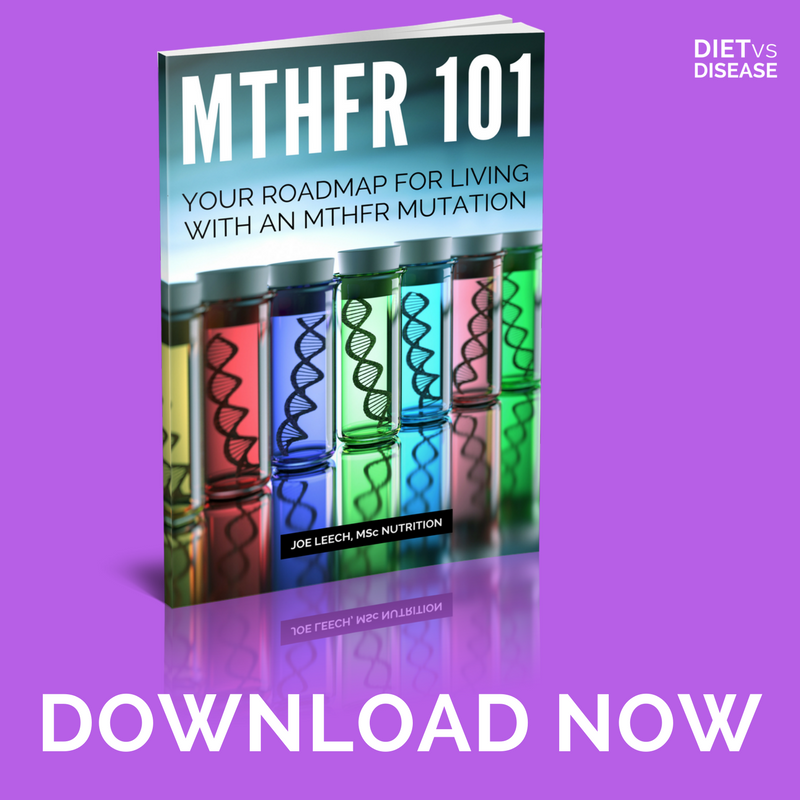 What is MTHFR, the MTHFR gene, and MTHFR mutation? What about other disease states and disabilities, like cancer and hypothyroidism? MTHFR, short for Methylenetetrahydrofolate Reductase, is a very important enzyme in the body. It’s necessary for Methylation to occur, a metabolic process that switches genes on and off, repairs DNA and many other important things. Methylation is also essential to convert both folate and folic acid – each a form of Vitamin B9 – into its active, usable form called 5-MTHF. This is a diagram of how complex it is, but you only need to see the final step. You can see that the final (bottom) step requires MTHFR in order to create the active form. So without the enzyme activity of MTHFR, methylation of folate and folic acid cannot occur properly. Put simply, the MTHFR gene triggers the production of MTHFR enzymes. Think of the gene as the flower, the enzyme as the honey-bee, and active folic acid as honey. Without flowers, there will be no honey-bees. Without honey-bees, no honey is created. Roughly 30-50% of us carry a mutation in the MTHFR gene, passed down from our parents. The two main functional mutations (some argue they should be classified as polymorphisms) of the gene are MTHFR C677T and MTHFR A1298C (3). Specifics aside, these genetic mutations are collectively known as MTHFR mutations. They can be like a “defect” which limits production of your MTHFR enzymes. Most people with a mutation remain unaffected and do not experience symptoms. However, for some, enzyme efficiency can drop down to between 30-70% depending on the variant of mutation (4). Note that there are numerous genetic mutations that can potentially hinder methylation. 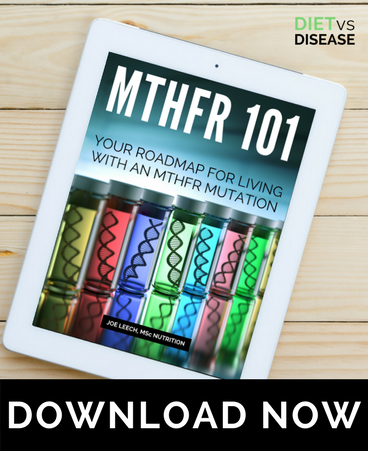 An MTHFR mutation is just one of many, but it’s the most well-researched and likely most important. 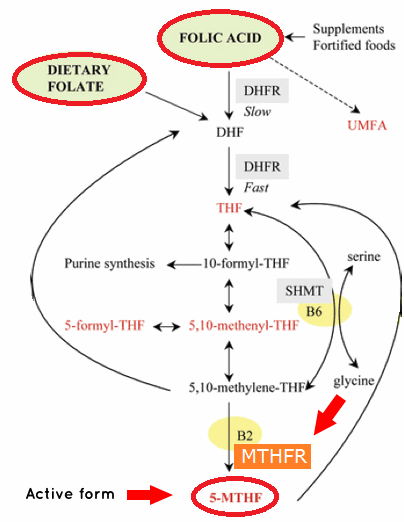 Summary: MTHFR is an enzyme necessary for an important metabolic process called methylation. It is this process that converts folate and folic acid into an active form the body can use. The MTHFR gene produces this enzyme, but a genetic mutation can inhibit its function. 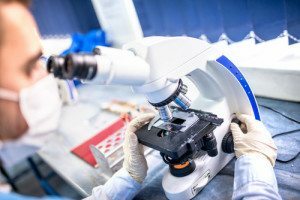 Those with an MTHFR mutation are at risk for poor MTHFR enzyme efficiency. Consequently, folate and folic acid cannot be efficiently converted into their active form, known as 5-MTHF or L-methylfolate. Therefore those nutrients can’t perform one of their key functions: breaking down (recycling) Homocysteine. Homocysteine is an amino acid thought to damage the lining of your arteries and other cells of the body. It is naturally formed in the body, but gets broken down (recycled) by 5-MTHF. Elevated homocysteine levels in the blood is an independent risk factor for heart disease, stroke and other forms of cardiovascular disease (5, 6, 7). It has also been linked with a wide range of other health problems including macular degeneration, Alzheimer’s disease, hearing loss, and cancer. A lack of active folic acid (alongside a low folate diet) can also lead to a Folate Deficiency, which has major health implications on its own. Therefore, those with a “bad” MTHFR mutation are at an increased risk for health problems if the issue is not addressed and their diet is not rich in folate. Summary: Those with an MTHFR mutation may be predisposed to increased levels of homocysteine, a strong risk factor for cardiovascular disease. They are also more likely to develop a folate deficiency if their diet is not rich in folate. Considering that genes are influenced by our diet and environment, many studies are also able to find a link between MTHFR and a particular disease process or disability. This ranges from cancer risk to autoimmune diseases and more; however it’s difficult to pinpoint an MTHFR mutation alone as a direct risk factor. There is a dubious compilation of the research here, but the studies are far from conclusive and not all the research is listed. Take thyroid hormone, for example, which appears to help regulate conversion of vitamin B2 (17). Vitamin B2 is crucial in the methylation of folate (more on that below), so we can make the assumption that those with hypothyroidism (an under active thyroid) and an MTHFR mutation are high risk. It could be true, yes, but it’s still just a theory. The reality is that overall evidence for these health claims are hypothetical, and MTHFR mutations are unlikely to be a direct causal factor. Innocent until proven guilty. Summary: MTHFR could very well contribute to or exacerbate heart disease and folate deficiency, but this is due to excessive homocysteine. The mutation itself is unlikely to be a direct cause of certain disease states or disabilities. 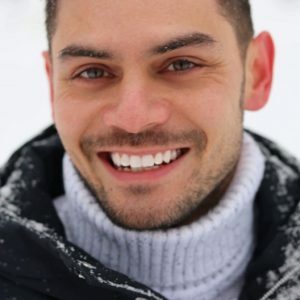 If you believe you may have an MTHFR issue, there is no way to know for sure without getting tested (more on that below). High homocysteine levels: Caused by poor methylation. Those with potentially “severe” mutations should check homocysteine with their doctor. Folate deficiency: A deficiency in folic acid (folate) could be linked to MTHFR and is worth checking out. 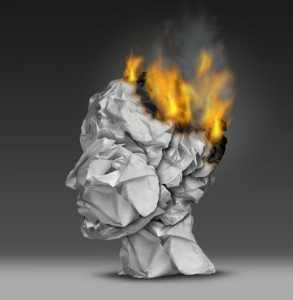 Common symptoms include extreme fatigue, light-headedness, and forgetfulness. Had a miscarriage: Many alternative practitioners recommend testing for MTHFR mutations if you have had one or more miscarriages. Longstanding gastrointestinal issues: Such as irritable bowel syndrome, but this is just a theory. An autoimmune disease: Such as fibromylagia, although this is based more on anecdotes than solid science. Long history of anxiety or depression: Based more on anecdotes than solid science. It’s important to note that an MTHFR mutation itself is not inherently dangerous… but any form of genetic variance has the possibility to affect your health. 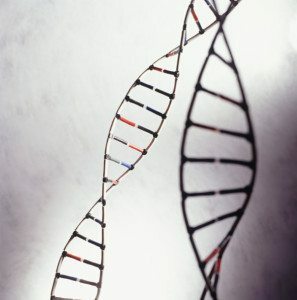 Knowing what the gene is and how it could affect you is seen by many as beneficial. Summary: There are some common trends among those who have an MTHFR mutation. If you experience any “MTHFR symptoms” it could be worthwhile getting tested. Folic acid is the conventional supplement for treating B-vitamin deficiency, lowering homocysteine levels, and reducing the incidence of Neural Tube Defects (8, 9). It is so effective that the addition (fortification) of folic acid back into to wheat flour is now mandatory in Australia, USA, Canada and several other countries (10). This is a big problem for people who don’t metabolize folic acid well, whether from low MTHFR activity or another enzyme issue (11). It becomes an even bigger problem when you consider the recommended daily intake for folic acid is 400 μg, yet unmetabolized folic acid already appears in the blood when we consume just 200 μg per day (12). 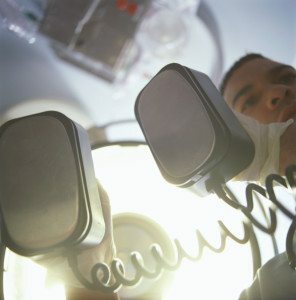 Unmetabolized folic acid accumulating in the blood can potentially mask dangerous vitamin B deficiencies such as megaloblastic anaemia. However, claims it has other harmful effects are unproven. Aside from cutting your intake of fortified wheat flour (commercial bread), folic acid supplements can be replaced with the active form: 5-MTHF or L-Methylfolate. It bypasses any MTHFR defects, and is shown to be equally (if not more) effective at increasing plasma folate levels and reducing homocysteine concentrations (13, 14). 5-MTHF is also better absorbed and interacts with fewer medications than folic acid (15). So far the FDA and European Food Standards Agency have approved several products containing 5-MTHF. Some speculate it will soon replace folic acid as the protocol treatment (16). 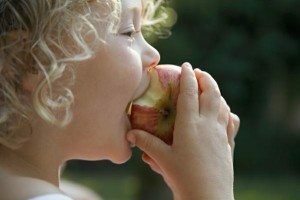 There are some important factors to consider before taking 5-MTHF though. Namely your vitamin B12 levels (and a particular variation of vitamin B12) and risk of anxiety, bipolar or depression. This is why guidance from a Dietitian or practitioner that specialises in this area is so important. I strongly recommend you read this guide before going further. That said, if you choose to supplement I recommend this L-methylfolate (5-MTHF) supplement (disclosure: affiliate link). It contains 800 mcg of biologically active folate (5-MTHF) plus 1 mg of vitamin B12 (a necessary coenzyme). It’s also gluten, dairy and soy-free for those concerned, but always check with your doctor before taking any new supplements. Summary: Folic acid can be very problematic for some, particularly those with an MTHFR mutation. Those people should avoid fortified wheat flour and look to swapping regular folic acid supplements for 5-MTHF. Active folic acid is highly protective against Neural Tube Defects. However, a conventional folic acid supplement is likely not protective of your child if it remains inactivated in your blood stream. That’s why testing for and flagging an MTHFR mutation could be especially useful for women of childbearing age. Therefore, a more conservative and thoughtful approach to folic acid supplementation is warranted for those with MTHFR issues. If you are planning to have a child, or less than 13 weeks after conception, supplementing with L-methylfolate (5-MTHF) instead of folic acid is an option. The supplement I recommend is listed in the section above, but always consult with your doctor first. While you’re at it, you should be avoiding these 6 foods too. Summary: Women with an MTHFR mutation who are planning to have a child or already less than 13 weeks pregnant should be supplementing with 5-MTHF rather than folic acid. The importance of folate cannot be overstated. That’s why MTHFR symptoms warrant such concern in the first place. While more folic acid (often a synthetic vitamin B9 compound) is not desirable, more folate (natural vitamin B9 compounds) certainly is. This is especially true for those with an MTHFR defect as folate-rich foods naturally contain the active form of folate too. Additionally, more folate in the diet means more opportunities to create the active form. The more lottery tickets you buy, the more opportunities you have to win the lottery. The body easily recycles leftover folate into a harmless compound, whereas it cannot always do so with folic acid. Without getting into more chemistry, that is why folic acid can easily accumulate in the blood. Studies have even shown that a folate-rich diet can match the homocysteine-lowering effects of either a regular folic acid or 5-MTHF supplement (16). As though we needed any additional reasons to eat more vegetables and legumes. There are several other important nutrients to think about for folate metabolism. Namely vitamin B2 (Riboflavin) and vitamin B6 (Pyridoxine), which assist in the formation of 5-MTHF. If you are deficient in either of these nutrients, part of the folate metabolism cycle will break down. It is commonly thought that antacids, some blood pressure medications, metformin (for type 2 diabetes), and contraceptives may all inhibit dietary absorption of B-vitamins to some extent. If you regularly take any of these, it is best to seek personalized health advice from your Dietitian or doctor. Want to download the MTHFR dietary recommendations in one easy to use PDF guide? Get it here, it’s free! 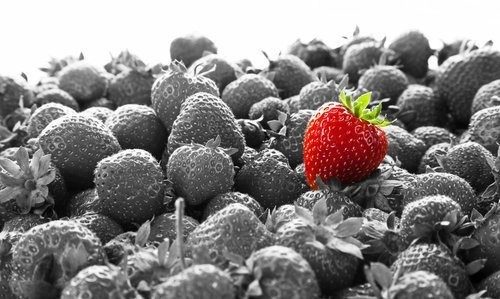 Summary: Natural folate is a nutrient that we all need to eat more of… MTHFR defect or not. Vitamins B2 and B6 are also important given their role in folate metabolism. The medical community acknowledge the range of health issues linked with MTHFR mutations. I agree that it’s unnecessary to test if you do not experience any cluster of symptoms mentioned above. Particularly high homocysteine and/or chronic folate deficiency. Additionally, genetic testing is expensive. The alternative is to have your homocysteine levels checked at the doctor. Levels within the normal range indicate no issues with folate metabolism. Summary: The medical community does not recommend testing for MTHFR mutations for the general population, especially those without symptoms. Testing homocysteine levels is a more affordable alternative. If you still want to test for it, you must do a genetic test. Most service providers can mail the testing kit out to you, so it remains non-invasive and you don’t have to go anywhere. Simply send back a saliva swab and await your results. The largest and most reliable companies are 23andMe and Ancestry.com, who have millions of customers. These companies provide you with a huge amount of raw data and details about your ancestry. You can order your own kit from their websites or here through Amazon (disclosure: aff link). Just note that due to new FDA regulations, no genetic testing companies are allowed to interpret medical information up front. The good news is it’s simple to upload you 23andMe or Ancestry.com raw data to other websites for detailed reports. GeneticGenie.org (free) can check for MTHFR mutations. I also recommend Promethease.com, which gives you super-detailed and interesting health reports for $5. Just remember to take your results ‘with a pinch of salt’, as many of the health suggestions are based on early stage research. If you can afford it, use NSGC.org to find a genetic counselor that can help accurately interpret your results. If instead you choose to use your own local lab, ensure they test for the MTHFR C677T and A1298C mutations, which are the main ones. Not all labs do so make sure you ask first. Remember that genetic testing is only a tool to support you in better health. Having a genetic mutation does not necessarily mean it will affect you. In fact, it most likely won’t according the current stats. Always consult with a Dietitian or practitioner who can put your results into context. And eat more folate-rich foods… That goes for everybody. For more information, I’ve put together this roadmap guide for you here.